At last I have this time to share about my mini adventure at the 35th Manila International Book Fair or MIBF. If you love libraries and endless book sales, then you’d probably have “the feels” of my excitement on that event. 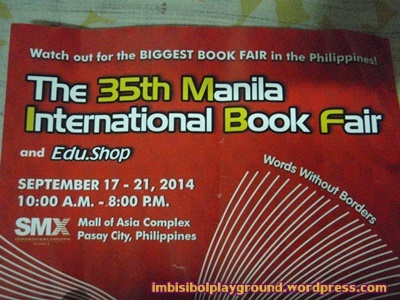 A few months before the MIBF, I’ve been constantly checking its schedule on the web. The year’s book fair happened last September 17-21 at the SMX Convention Center in SM Mall of Asia (MOA). So I’ve been planning my whole week prior to that as to when I’d be attending the event. I love coming to the book fair as much as lovers want Valentines’ Day.